Tom Green may share his namesake with the American comedian, but this down to earth Australian is making a name for himself in Hollywood in his own right. Playing in the lead role as Corbulo Academy new recruit; Thomas Lasky in the soon-to-be-released Halo 4: Forward Unto Dawn webisode mini-series has certainly bought him to the forefront in the Halo universe. Sitting down with Jess and Hangie, Tom talks candidly about his latest role as the young Thomas, the Halo universe, his acting experience transitioning from dancer to sci-fi hero, as well as the obvious cases of mistaken identity. Open, funny and just an all-round nice guy, have a read as Tom Green gives us an insight into the world of Halo 4: Forward Unto Dawn and what it means for Tom to play, umm… Thom. Hangie: First question we wanted to ask is how you scored the role for Halo 4 Forward Unto Dawn as Thomas Lasky? Tom: I was actually in Los Angeles earlier this year for pilot season and was over there auditioning for a bunch of stuff; and given the script. The script came under a codename which they do for some scripts usually. I went in and read for it; for like two scenes and just kind of forgot about it. I went and did some other stuff when they called me back again and again, eventually meeting the director who told me what it was, what it actually was that I was reading for and that’s when I kind of went “Whoa!” It all kind of sunk in that this is much bigger than I expected. About two weeks later they called me and said they would like me to come in and play Thomas Lasky, and I said “Why not! ?”, so it all happened really quickly. Jess: What’s your funniest experience of mistaken identity with Tom Green, the comedian? So I turn around and he’s realised, looking up at me and goes “Oh, you’re T.G?” and I went “Yeah”. “But you know…”, “YES! I know!” Then I realised it was Bud from Married with Children and he was all grown up. Apparently he’s really good friends with him [Tom Green, the comedian], but that was the funniest. Hangie: Tell us a little about your character Thomas Lasky. I mean, he’s kind of got the same name as you. Tom: Umm.. look, I don’t want to give away too much but what I can say is basically he’s a freshmen recruit at Corbulo Academy. We see at the beginning of the series that he’s not really comfortable there. He’s not really agreeing with everything that’s being taught in the actual curriculum. There’s a bit of a clash there with his personal beliefs and the beliefs of the academy so we get to see a bit of a development there when the Convenant are present later on; where his beliefs are tested. We do see a lot of character development over the five episodes. I don’t want to give away too much. I want you guys to see it. Jess: So, were you a fan of the Halo franchise prior to taking on this role? Tom: When I say this, I don’t ever want to be taken out of context because I don’t want people to think that I hated it, but I wasn’t aware of how big it [Halo] was. I didn’t know how huge the Halo world was, the culture, and the fans. I played Halo as a kid growing up with some of my friends in high school, but I didn’t actually have an Xbox so I never owned Halo myself but I did own other gaming consoles. So when I was offered the role, I was told to read [Halo] Contact Harvest; the novel and I was given the [Halo] encyclopaedia to look over, is when it all started to grow on me and now, when I was privileged enough to be invited to ComiCon this year, they let me play Halo 4 and I was like, “I need to have this game!” and it’s funny now because it’s just grown on me. I know a little bit here and there, but I’m not overly educated on the whole world but I probably could stay in a conversation with someone who’s a Halo freak; a little bit. Hangie: Are you much of a gamer? What’s your favourite video games? What do you play? Tom: I grew up playing Nintendo 64 with my brothers, that was the first gaming console I ever played. I played 007 Goldeneye and Diddy Kong’s Racing. We eventually got a PlayStation One and we had games like Spider-Man, Need for Speed; and then upgraded to a PlayStation 2 and had all the Need for Speed’s, FIFA of course, Pro Evolution Soccer, and just a mix of stuff. I hate saying all this kind of stuff since I’m kind of promoting Sony at the moment and I don’t want to be doing that. Tom: But now I have my iPad and I rarely play games. I’m actually in the process of purchasing an Xbox now which you’ll be pleased to hear, and I’m actually waiting for Halo 4 so I can get that. Jess: Your previous acting roles involves work on Home and Away, as well as Dance Academy. How was the transistion into a video game based role? Tom: Well it’s very different, even Dance Academy was very different to Home and Away. There’s that shift of course. My favourite story is; there was this time when we were shooting [on Halo 4: Forward Unto Dawn] in a corridor that was demolished, under the University of Vancouver at three in the morning. We all had rifles, we were all sweaty and there was blood everywhere, I won’t give away the scene. 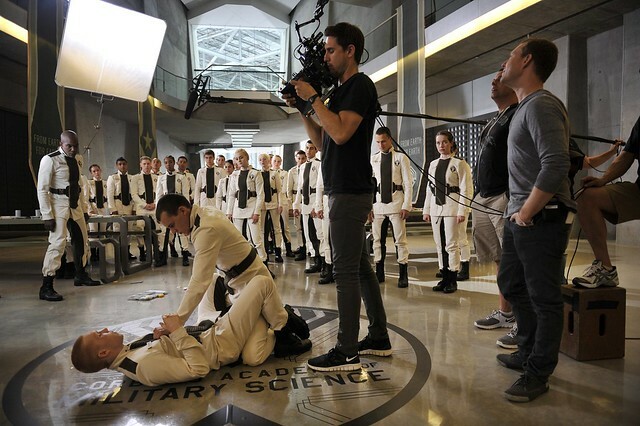 We were all ready to go and I turn around towards Anna Popplewell; my co-star and she goes, “What? What’s the matter?” and I said “I just realised I just spent three years playing a gay, Jewish ballet dancer and now look at what I’m doing?” She’s like, “You’re an idiot”. So that was the biggest kind of shock to the system, but it was an experience in itself and I learnt so much. Green screens and sci-fi genre is so different. Hangie: What’s a little known fun fact about yourself that not many people would know about you? Tom: Umm… let me think. I’m one of ten kids. Hangie: Oh! Are you the youngest? Tom: No, fourth oldest so I have a lot of brothers so that’s why I have a little bit of a gaming background. Very competitive growing up as a child. And I don’t know what else? I’d say dancing but everyone knows I’m a dancer, but I rarely dance anymore. Jess: What made you want to become an actor? Tom: I didn’t always want to be an actor. When I was a kid, I wanted to start dancing but when I was seven years old, I was intimidated by all the girls. Then when I got to primary school I was playing football…I mean Soccer; sorry! and I did Tae Kwon Do. I did Tae Kwon Do for a long time so I’m a first degree black belt in Tae Kwon Do and I trained in that for a long time. When I was in soccer, a friend of mine’s sister danced with my little sister, and through him ended up starting dancing. Through that, an agency came down to my local town auditioning people for this small agency and I got into that; and I did that for a year but I had to pay to be in it. My family thought it was too expensive so I didn’t do it. So, my name was still on the casting books in the city and three years after that (I was still in high school), I was getting phone calls to come in for auditions, and I thought I’d go in for them; just for the heck of it to say that I’ve done a job. My first job, it didn’t pick up so I went back to high school and there was this film crew coming through Wollongong (where I’m from). They were auditioning for this short film and I won the lead role and it snowballed from there. I signed with an agent and next thing you know, I’ve been working consistently in Australia and decided to make the jump to L.A. and I guess it’s starting to pay off. Hangie: I was going to ask you what made you want to get into the industry but after what you said, if you weren’t doing acting, what would you want to do? Tom: I don’t know. I was a keen drawer and I use to love doing art in high school. I was so tedious with it so I think maybe that’s some sort of sign, I don’t know maybe something in art. Maybe something in music? I love music production and I’d have to be a bit educated first but I think there was a bunch of stuff I could have done. But fortunately, I’ve fallen in love with this [acting] over the last couple of years and the more and more I do, I fall more in love with my work. I think I’m destined to do this. Hopefully I can get some more work. 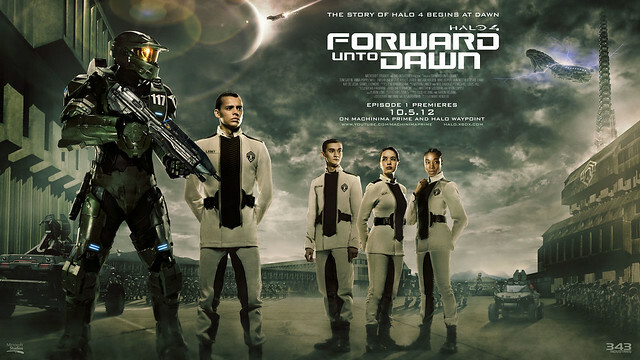 Jess: What are your future roles, and will we see a follow up to Halo 4: Forward Unto Dawn? Tom: Ohh… I don’t know about any follow-ups just yet. I mean that was definitely something I bought up at Microsoft but they kind of didn’t say anything to me because you know, they’re very secretive like that. But at the moment, I’m kind of waiting to hear on a role today, like right now. I’m kind of waiting on an email so I possibly could be doing some work over here. At the moment, I’m sort of in limbo. I don’t know whether I’m going to be staying in Australia. I’m meant to fly out back home to Los Angeles on Sunday so, going back there and riding this wave [Halo 4: Forward Unto Dawn] for a bit. I mean this has still got to air, so hopefully when this comes out, it could open up some doors for me and I’ll sort of take each day as it comes I guess. Hangie: A lot of Australian actors have probably seen your transistion from television in Australia and on to America. What kind of advice do you have for actors looking to follow in similar footsteps? Tom: I’d say, work really hard. My whole thing was, I wanted to start doing work here [in Australia] and make a little bit of a name for myself here so I had a launch pad into the States, but having said that; there are a lot of Aussie actors now going over there. They might do one job here and you forget about them, then they pop up in a new HBO television series, and there’s a lot of Aussies where that’s happening for them. I think the biggest thing is just [getting] experience and keeping your head on straight. Not forgetting family values and stuff like that. In a town like Hollywood; I’ve only been there half a year and already I’ve realised that it’s so easy to get caught up in all that kind of crap. It’s a small industry and you never know who you’re going to work with again so you want to stay humble and focus on your work. Jess: Well you said that you were sort of in awe of the Halo universe and it’s much larger than you thought. How do you feel now, now that you’re a part of the Halo world? And When I went to ComiCon, I was just “Wow! Look at what I’m a part of. This is insane!” So, it was all so surreal and ComiCon definitely did test me so now I’m kind of use to events like this [EB Expo] and I get to talk to all the people. A lot of people find that line very blurred, that because I’m in Halo 4: Forward Unto Dawn that immediately I’m a Halo know-it-all, and I’m not. I have to explain to them that the characters in Halo 4: Forward Unto Dawn do not play Halo, so they really wouldn’t know anything about Halo, you know. But being around it, it’s sort of grown on me and I’ve started to educate myself, slowly but surely. Hangie: What’s the feedback from Halo fans been like? Have you heard what they’ve thought about the mini-series so far from what they’ve seen? 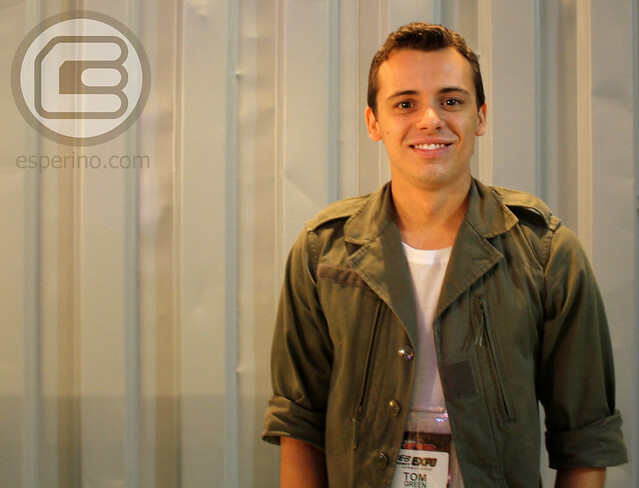 Tom: We aired the first episode yesterday at a media day with some journalists. At the same time while it was playing, we had eight Xbox ‘s setup with Halo 4 on them so I think they were a little bit distracted. I mean, I liked it, I liked it a lot. I think die-hard Halo gaming fans will watch it and go, “Maybe this isn’t for me” because there’s a lot of drama in the first episode and then slowly from the first, to the second, to the third, more action gets in and then you get introduced to Master Chief. In every thing we do, we have a mixed response so hopefully we’ll get more positive than negative, but I saw it yesterday and it looks sick! Look at the amount of views on the trailer, like a couple million (so far). I think people are going to be excited by what they see. Hangie: It has been popular, with just the trailers alone. Tom: Oh yeah, definitely! I had no idea. Someone told me to look at the trailer count… “H-O-L-Y COW!” That for me, I’m a little bit scared to be a part of something that’s happened so fast. Hangie: Have you had a chance to see Master Chief [at the expo]? He’s kind of wondering around at the moment. Tom: I have seen him walking around, yeah. It’s not the same costume as the one they had in Vancouver, and I think there are like four different guys playing Master Chief throughout the last three days of publicity, but I have seen him and I took some photos of him last night at the Black Beta V event and he’s walking around here somewhere. Hangie: He’s a bit of a giant right? Tom: Yeah, he’s a bit of a giant. You know, Daniel Cudmore who plays Master Chief is over six foot and weighing over 300 pounds in his Master Chief costume so he is HUGE. Jess: Now you can be like, Master Chief is my bro. Tom: Yeah, well he is. Like you know, I’ve got him on Facebook, we go way back! He follows me on Twitter, don’t you know this? Hangie: *laughs* Thank you for your time today. Tom: No worries man, thank you. A big thank you to Tom Green for the sit-down chat, and Microsoft Australia for helping to organise an interview time for us. 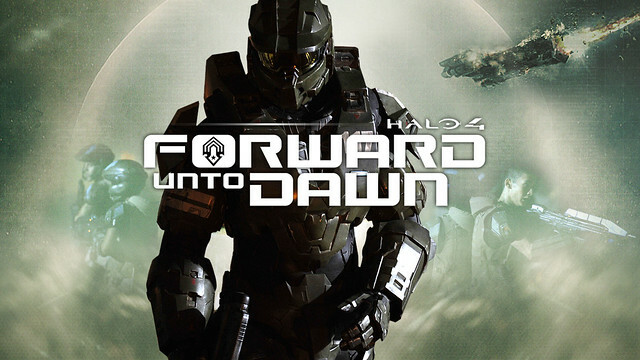 Halo 4: Forward Unto Dawn episode one was released over the weekend and is viewable via the link below. The follow-up episodes are scheduled for release over the coming weeks ahead. Halo 4 will be out on November 6th 2012 globally, exclusive to the Xbox 360.